Happiness comes in all shapes and sizes. Yes! Even in a pillow shaped box. Spread happiness with these pillow gift boxes. Bored of those standard gift boxes? Try these exciting gift boxes. Elevate your gift with this spectacular pillow gift box. Add warmth to your relationship by gifting in a box that resembles something as cozy as a pillow. There is nothing like a small gift. No gift is too small to be given if it is sent with love. It is the thought and the gesture that matters more, than the actual gift itself. You can now send chocolates in these traditionally designed pillow gift boxes and add colors to your occasions. It takes absolutely nothing to be thoughtful. In fact, it gives you better relationships. 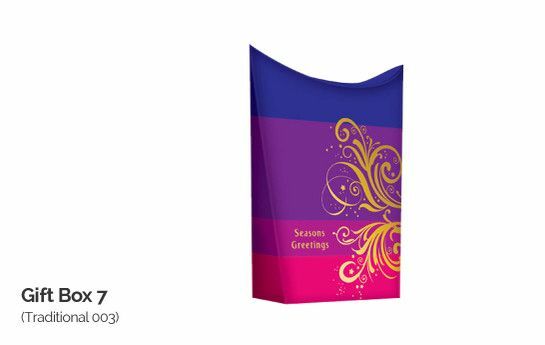 Demonstrate your thoughtfulness through these custom printed pillow gift boxes. You can personalize your gift box to add a heart-felt message to it. You can also beautify it with pictures that are close to your heart. At PrintStop, getting a customized gift box is uncomplicated. We have a wide range of inbuilt design templates to make your task simpler. You can choose one of these templates and customize it further, or you can simply get your box designed from Pehchaan, our in-house team of talented designers.